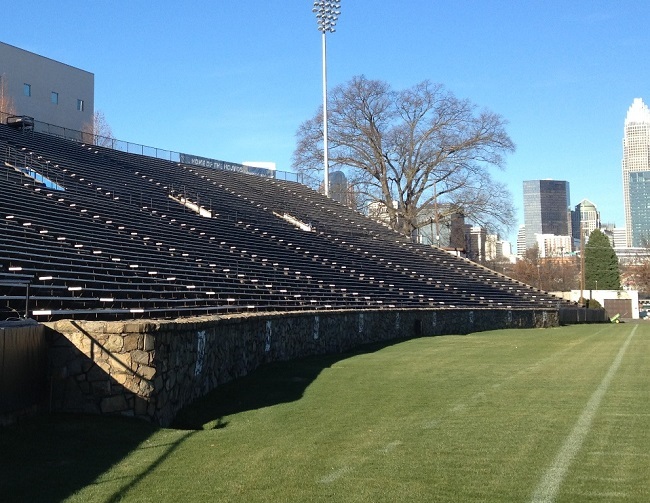 a. COA Application for the American Legion Memorial Stadium, 1300 Block of Charlottetowne Avenue, Charlotte, N.C. 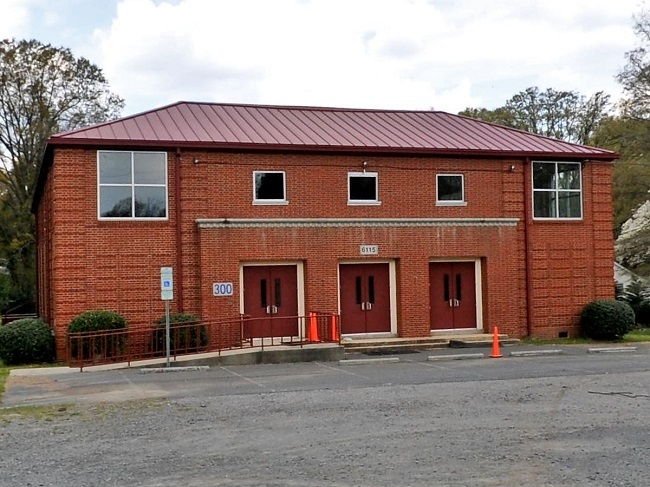 THE DESIGN REVIEW COMMITTEE PASSED A MOTION TO TABLE CONSIDERATION OF THE PROJECT FOR THE AMERICAN LEGION MEMORIAL STADIUM, 1300 BLOCK OF CHARLOTTETOWNE AVENUE, CHARLOTTE, N.C., WITH THE UNDERSTANDING THAT THE APPLICANT WILL MEET WITH STAFF AND THE DESIGN REVIEW CHAIR TO FURTHER DISCUSS THE PROJECT. 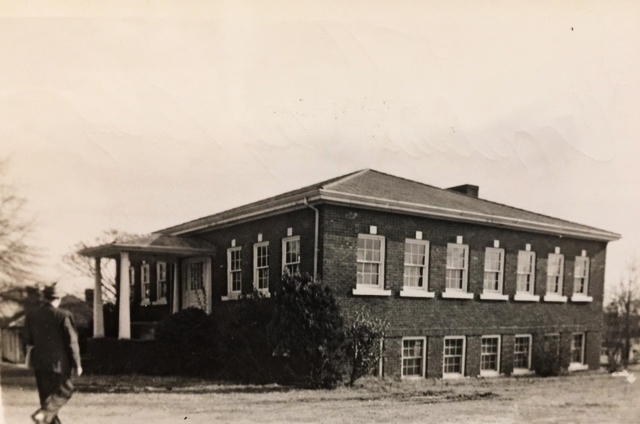 a. Cornelius High School Agricultural Building, 21126 Catawba Avenue, Cornelius, N.C. 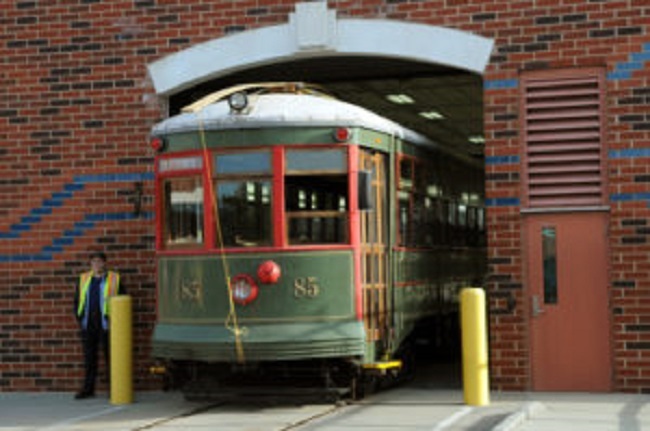 THE SURVEY COMMITTEE PRESENTS A SECONDED MOTION TO RECOMMEND TO THE HISTORIC LANDMARKS COMMISSION THAT IT PROCESS THE CORNELIUS HIGH SCHOOL AGRICULTURAL BUILDING (INCLUDING THE EXTERIOR OF THE BUILDING AND A PARCEL OF LAND TO BE DETERMINED BY A SURVEY), 21126 CATAWBA AVENUE, CORNELIUS, N.C., FOR HISTORIC LANDMARK DESIGNATION AND THAT THE TOWN OF CORNELIUS BE ASKED TO PAY FOR THE SURVEY. 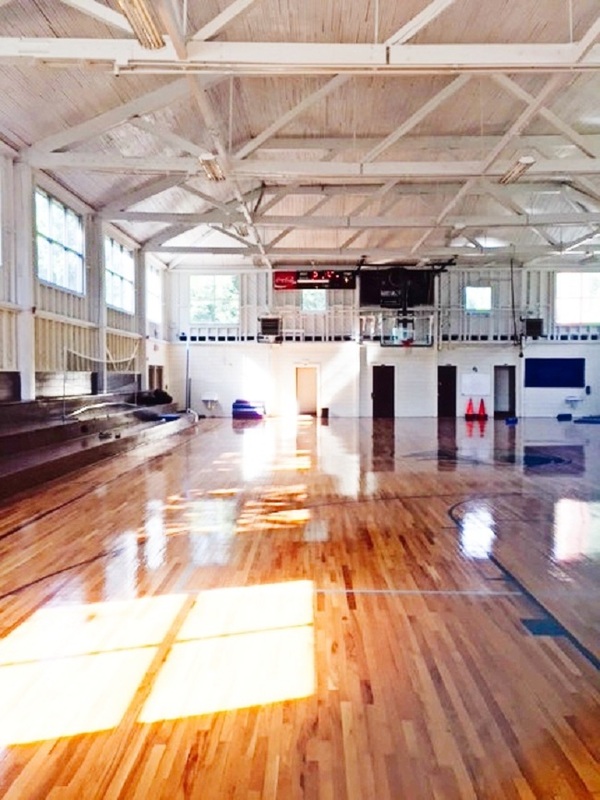 b. Derita High School Gymnasium, 6115 Rumple Road, Charlotte, N.C. 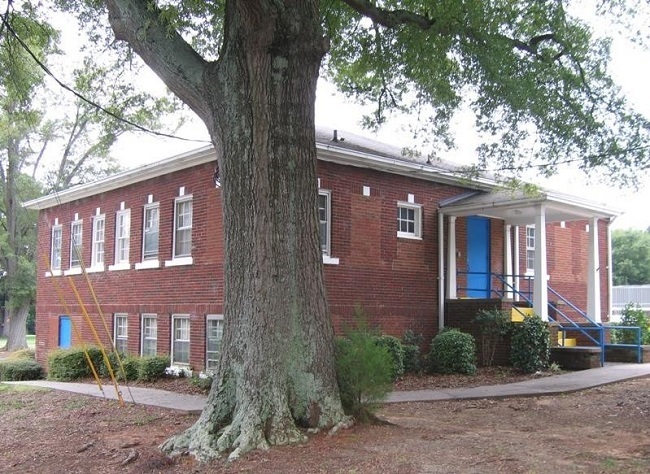 THE SURVEY COMMITTEE PRESENTS A SECONDED MOTION TO RECOMMEND TO THE HISTORIC LANDMARKS COMMISSION THAT IT PROCESS THE DERITA HIGH SCHOOL GYMNASIUM (INCLUDING THE EXTERIOR OF THE BUILDING AND THE ENTIRE TAX PARCEL UPON WHICH IT SITS), 6115 RUMPLE ROAD, CHARLOTTE, N.C., FOR HISTORIC LANDMARK DESIGNATION. c. Mallard Creek Presbyterian Church Slave Cemetery, 1600 W. Mallard Creek Church Road, Charlotte, N.C. 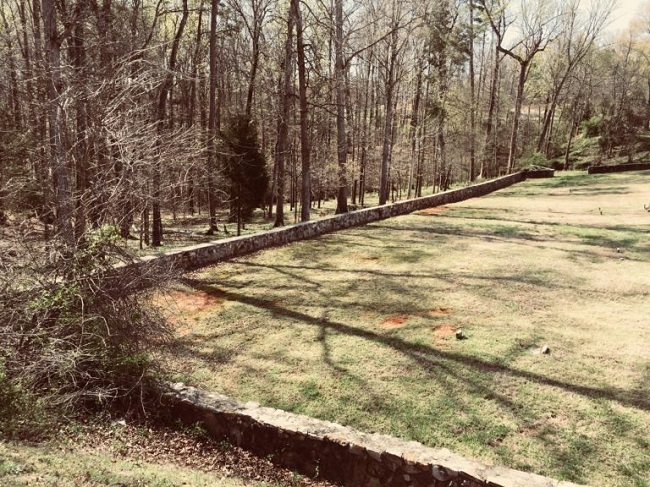 THE SURVEY COMMITTEE PASSED A MOTION THAT THE MALLARD CREEK PRESBYTERIAN CHURCH SLAVE CEMETERY, 1600 W. MALLARD CREEK CHURCH ROAD, CHARLOTTE, N.C., BE PLACED ON THE STUDY LIST OF PROSPECTIVE HISTORIC LANDMARKS. 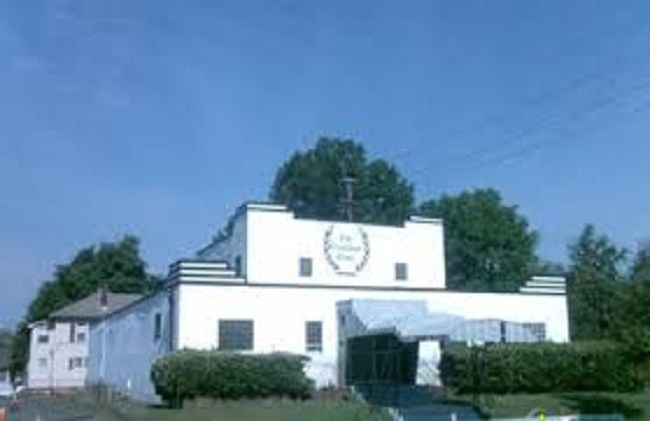 a. Excelsior Club, 921 Beatties Ford Road, Charlotte, N.C. THE PROJECTS COMMITTEE PRESENTS A SECONDED MOTION TO RECOMMEND TO THE HISTORIC LANDMARKS COMMISSION THAT IT AUTHORIZE HLC STAFF TO 1) OBTAIN PROPOSALS FOR THE PREPARATION OF A FEASIBILITY STUDY OF THE EXCELSIOR CLUB, 921 BEATTIES FORD ROAD, CHARLOTTE, N.C., TO INCLUDE ALL THREE LOTS BELONGING TO THE OWNER; STUDY TO CONSIDER DEVELOPMENT WHICH WILL PRESERVE THE EXISTING STRUCTURE; AND 2) CONTACT OWNER TO OBTAIN THEIR AGREEMENT TO HAVE ALL THREE PARCELS INCLUDED IN THE STUDY (NO COST TO OWNER); IF INCLUSION OF ALL THREE LOTS IS NOT ACCEPTABLE TO THE OWNER, NO FEASIBILITY STUDY WILL BE PURSUED. 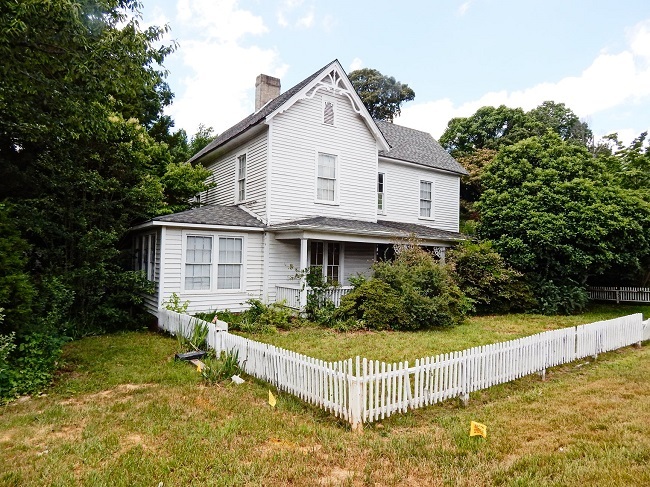 b. McConnell House, 4009 Beatties Ford Road, Charlotte, N.C. THE PROJECTS COMMITTEE PASSED A MOTION TO APPOINT WILLIAM HUGHES AND EDWIN WILSON TO AN AD HOC COMMITTEE TO WORK WITH HLC STAFF ON THE PREPARATION OF A COST ESTIMATE FOR THE MOVE OF THE MCCONNELL HOUSE, 4009 BEATTIES FORD ROAD, CHARLOTTE, N.C., COVERING THE FOLLOWING COSTS: 1) PURCHASE OF A PIECE OF PROPERTY WITHIN “MOVABLE” DISTANCE; 2) EXPENSES TO MOVE FROM CURRENT LOCATION TO NEW LOCATION; 3) UTILITY CONNECTION EXPENSES; 4) HOUSE REPAIR FROM MOVE INCLUDING NEW FOUNDATION; AND THE COMMITTEE WOULD ALSO ESTIMATE SALES PRICE FOR RELOCATED HOUSE TO DETERMINE IF THE PRICE WOULD COVER THE COST OF THE MOVE.